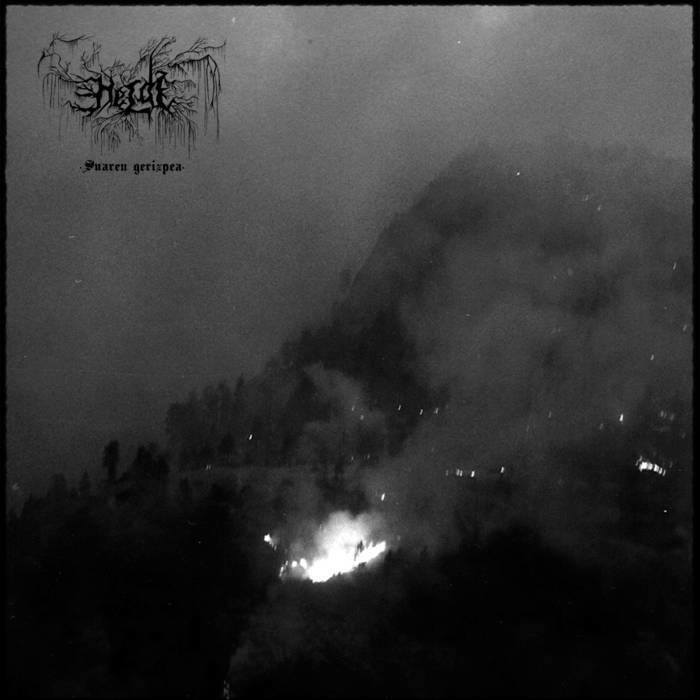 Helde are a band from Spain that plays a very raw form of black metal and this is a review of their 2015 album "Suaren gerizpea" which was released by Negra Nit Distro. Thunder and rain sounds start off the album and a few seconds later the music goes into a very fast and raw black metal direction that also uses a great amount of blast beats and high pitched screams and the songs also bring in a great mixture of slow, mid paced and fast parts and the music is heavily rooted in the mid 90's style of black metal. Dark sounding melodies can be heard throughout the recording and all of the songs stick to a very heavy and raw style of black metal throughout the recording and they also avoid using any solos and leads which also gives their music more of a heavy attack and there are no soft parts present anywhere on the recording. Helde remain true to the fast and raw black metal style that was established on the previous recording and create a very heavy recording, the production sounds very dark and raw while the lyrics are written in Basque and cover mythological and misanthropic themes. In my opinion this is another great sounding album from Helde and if you are a fan of fast and raw black metal, you should check out this recording. RECOMMENDED TRACKS INCLUDE "Belearen hegeldia" and "Sasikume". 8 out of 10.